The Suppa Zilla Bracelet is a combination of titanium adapters with a titanium link bracelet and a stainless steel adjustable divers clasp. Made for BJ8050, BJ8051, BJ8044, NH6930, NH6934. All the bracelet parts are brushed to match. You can remove the bracelet and use these adapters with other 24mm straps. 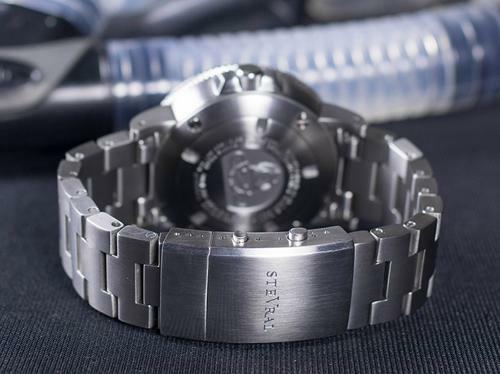 The titanium bracelet will match the brushed finish on the steel eco-zilla watch, it is also a close match to any titanium auto or ecozilla watch finish. This bracelet includes adapters that will accept any 24mm strap.